Welcome to the Women Police of Alaska webpage! I regret the delay in updating our website, but the fabulous Alaska summer of 2013 got in the way! Nonetheless, your Women Police of Alaska organization has been busy since my last update in February 2013. To begin the year, we had our biennial elections in April. The officers elected to a two-year term from 2013 to 2015 are as follows: President: Michele Logan, Vice-President: Kris Sell, Secretary: Julie-Dee Sharkey, Treasurer: Rae Arno, and Board Members: Kelly Alzaharna, Maxine Andrews, Sherrie Daigle, and Andrea Jacobson. In May, we had our first of two annual General Membership meetings at Froso’s in Soldotna during the APOA Crime Conference week. We had a great showing and an all-around fabulous time. See photos of the meeting and the swearing-in of the new officers in our PHOTO GALLERY. In June, we had our annual WPA Summer Picnic at Rae Arno’s Wildwood Farm in Wasilla. We had several members make it in from Fairbanks and points beyond. And as was keeping with our summer in general this year, we had fantasic weather, great food, fun and fellowship. See the photos in our PHOTO GALLERY. We inducted our fourth all-time Life Member into the Women Police of Alaska at our June picnic. 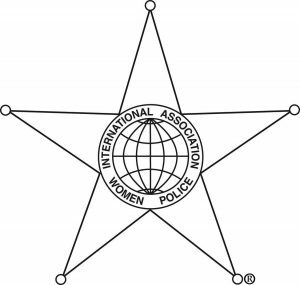 Angella Long, a long time Board Member of the WPA since just about our inception as an organization, and a committee member of the 1998 IAWP Anchorage conference undertaking, was recognized for her contributions to WPA with a Life Membership. Angella recently retired (we’ll see how long that holds up) from the Alaska Department of Public Safety Professional Standards, and before that as Chief of Police of Wasilla PD. A wonderful and storied law enforcement career here in Alaska by all accounts. Congratulations Angella! To wrap up 2103, we have our second biannual general membership meeting of the year on December 4, 2103 during the APSC Executive Development Conference in Anchorage. Dave and Betsy Smith of the Winning Mind seminars, and friends and favorites of law enforcement here in Alaska will be the featured trainers at this year’s conference. See our MEETINGS and EVENTS tab to get the most up-to-date meeting place and time for our general membership meeting. I hope to see you on December 4th!